I love Rocket Raccoon and you will Too! Who is Clairvoyant theories HUB? Rocket Raccoons voice heard for the first time! Rocket Raccoon's voice can now be heard. Rocket will be voiced by Bradley Cooper in the upcoming Guardians of the Galaxy movie. He is a fun character and very unique character. Ever since I began reading Thanos Imperative I have been hooked by him. Well the character's origins go back to some original works by Bill Mantlo who created him as a guest star in Incredible Hulk #271. Since I got into later Rocket Raccoon Guardians of the Galaxy books I have gone back and picked up the initial mini series of Rocket Raccoon. I can't say that it reminds me of anything else. It is almost like Looney toons merging into the Marvel universe. 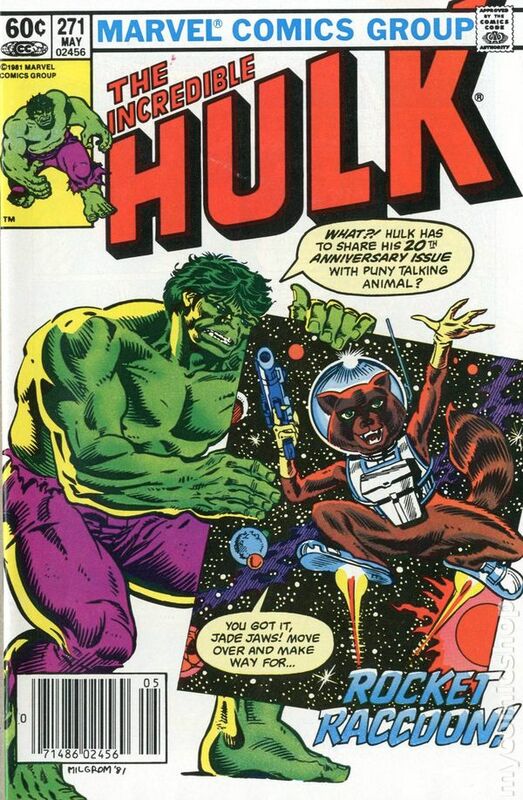 Recently I became aware that Bill Mantlo who created this awesome character was struck by a hit and run driver in 1992, leaving him with a variety of cognitive impairments. Greg Pak's page links to the an article that explains Bill's ordeal with the medical and insurance in detail. It is a heart breaking tale for a guy who has done so much. To make the story a little sadder, Bill created a lot character before a new agreement came out that gave writers a cut based off what their characters would go on to do. Bill was one of the few writers who went forward at creating characters when other writers waited for the deal. He basically thought that he would simply create new characters. Unfortunately, with the accident that happened this was not the case. So if you enjoy reading a Rocket Raccoon comic or the Guardians of the Galaxy movie maybe send a thank you letter, or some money Bill. He won't get paid directly for his creation but maybe the fans of the character's he created can make up for that fact. It sounds like Mike Mantlo (Bill's brother) has done his best, faced with a herculean foe. He deserves a ton of credit.